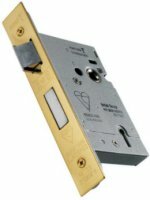 5 lever dead lock certified to BS3621, as recommended by insurance companies and the police (Secured by Design), CE Marked and Certire Approved. 20mm solid steel anti-thurst, anti-saw, anti-drill bolt throw. 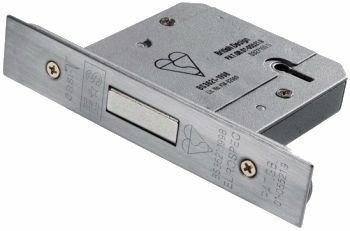 Supplied with 2 keys as standard with box stiking plate and fixings, also available keyed alike (same key to a number of locks).